It was surreal to be at Flora-Bama Lounge and Package to celebrate their 2018 Top 10 Florida Beach Bar Award sponsored by LandShark Lager. The last time we were here, it was 2014 and Kenny Chesney was playing on the beach to over 40,000 fans that were lucky enough to find a spot on the sand or on a boat. Many great memories came rushing back to us as we walked through this iconic beach bar. 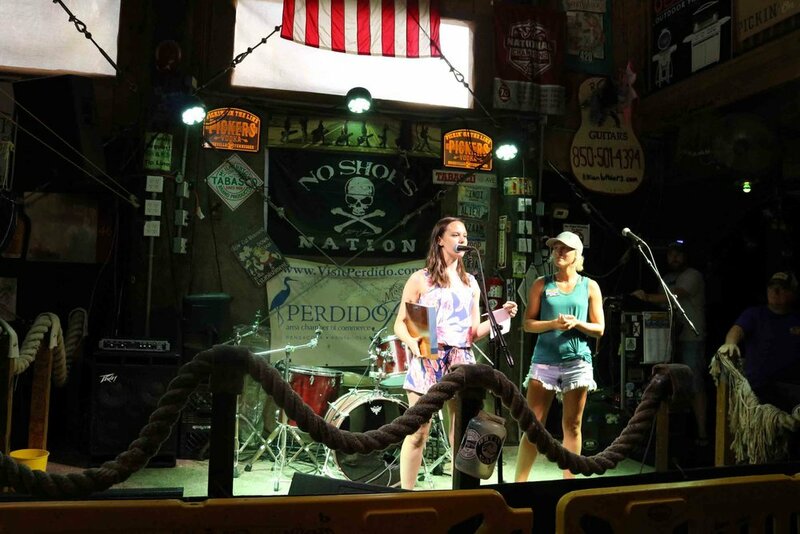 This was their 4th time being a Top 10 Florida Beach Bar and we were proud to present them with an award in the Flora-Bama Dome. We met people from Missouri, South Carolina, Alabama, Florida, and New Orleans who were all there to have a great time. After the ceremony, we grabbed a cold LandShark and a Flora-Bama Jama tropical drink and headed over to the Main Room to listen to some music. If you are a fan of music, this beach bar is for you. With 3 stages (and 2 more across the street), there is always someone playing. Rebecca Barry and John Cochran started the event off in the main room playing some great songs by Van Morrison, Willie Nelson, and others. 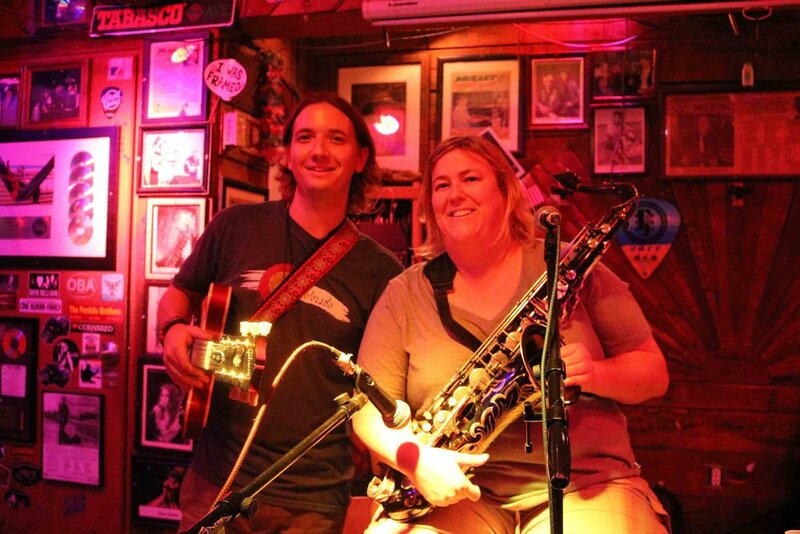 It's amazing how far a guitar and a saxophone can take a song. They are amazingly talented musicians and we really enjoyed listening to them. Next up was Ryan Dyer. Ryan and his band played a wide range of songs from Wagon Wheel to Live Like You Were Dying. We were only planning to stay and listen for a couple of songs but we were captivated and stayed for all their sets. His latest single, Cowgirl, debuted in February 2018. He frequently plays at Flora-Bama so go check him out! Johnny Barbato and the Lucky Doggs took the outdoor crowd into the night at the Tent Stage. They played some southern rock and had the crowd dancing on this beautiful summer night. They had an unbelievable sound and if you ever get a chance to see them play, you won't be disappointed! 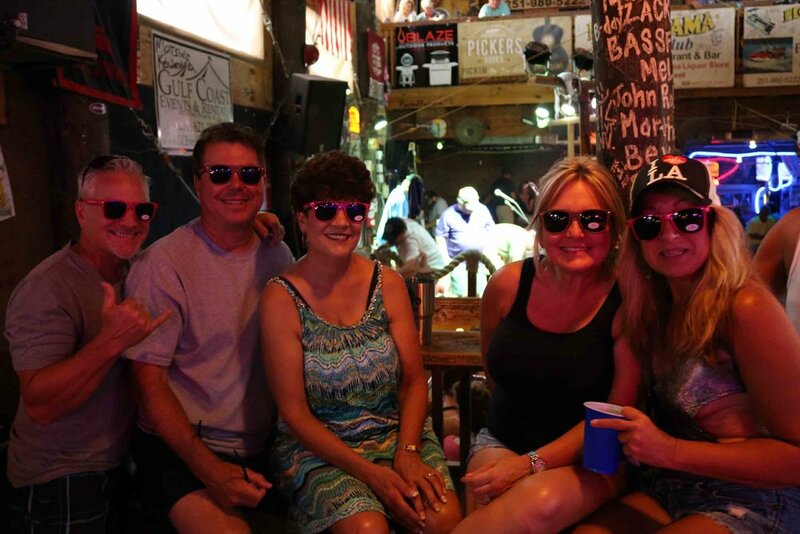 It was a night filled with great music, dancing, and an energy that makes Flora-Bama so special. Great job to all of the staff members at Flora-Bama that earned a Top 10 Florida Beach Bar award!